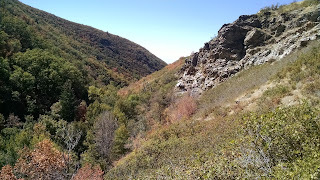 This past Sunday, I was looking for a hike to do. I didn't want to drive particularly far, but I definitely wanted to do a hike that I hadn't done before. 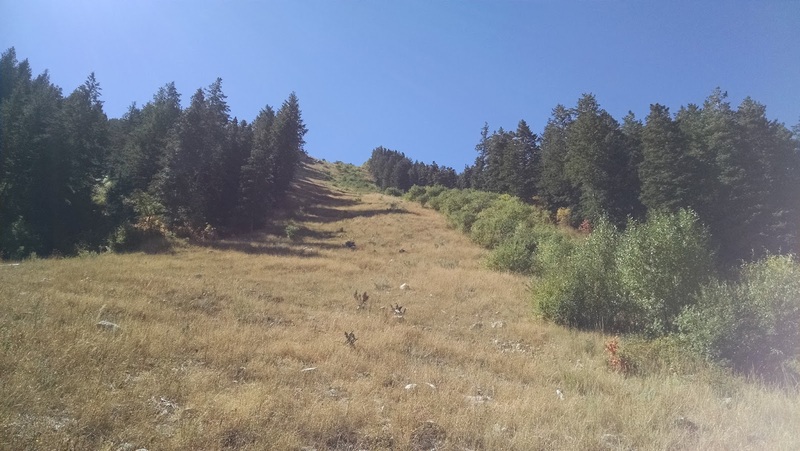 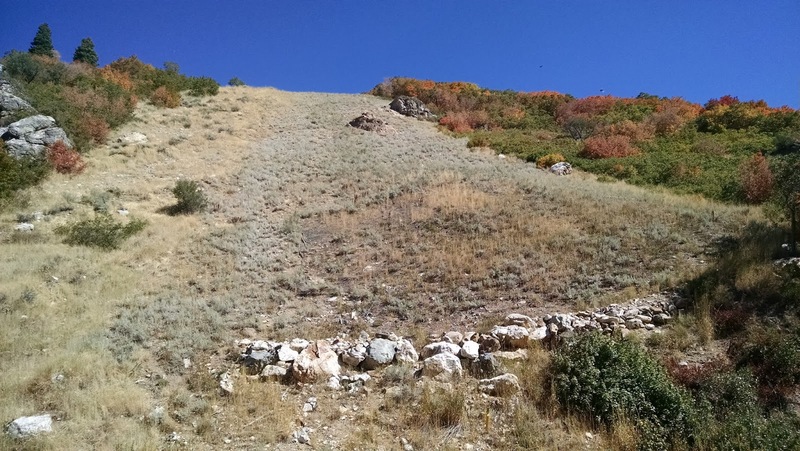 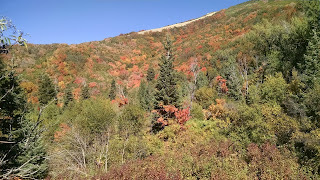 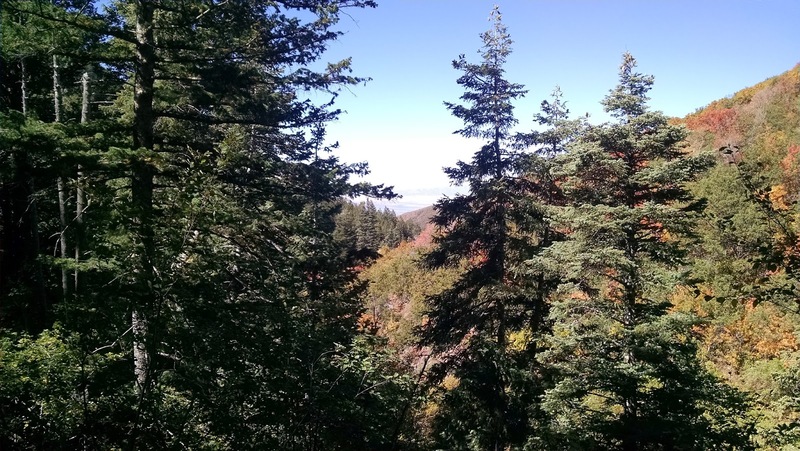 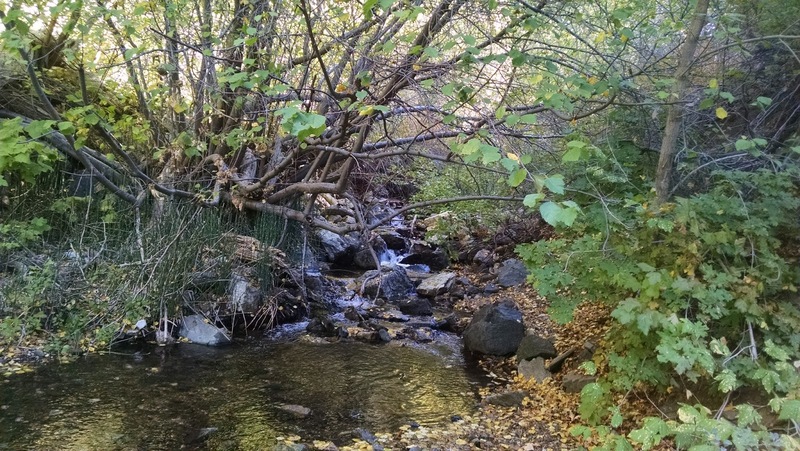 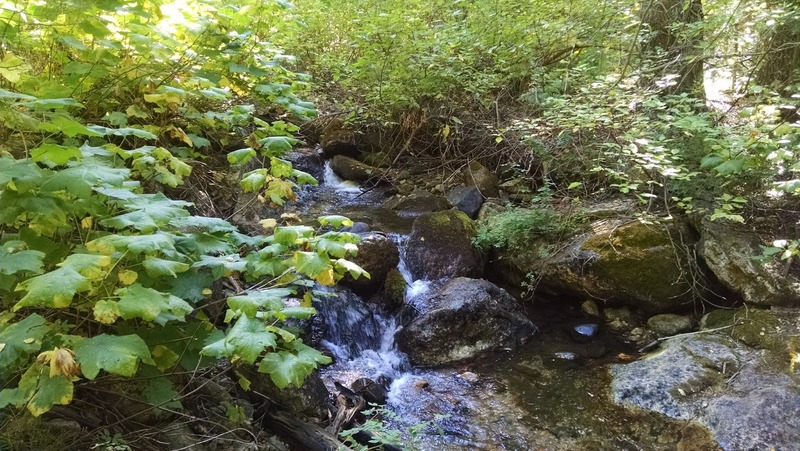 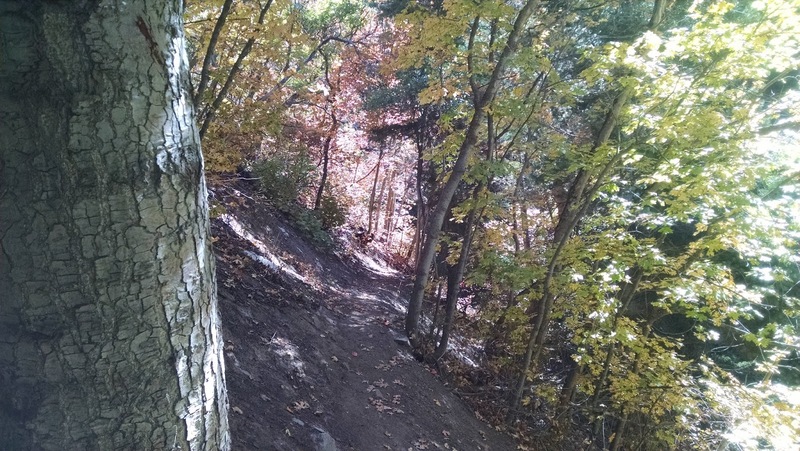 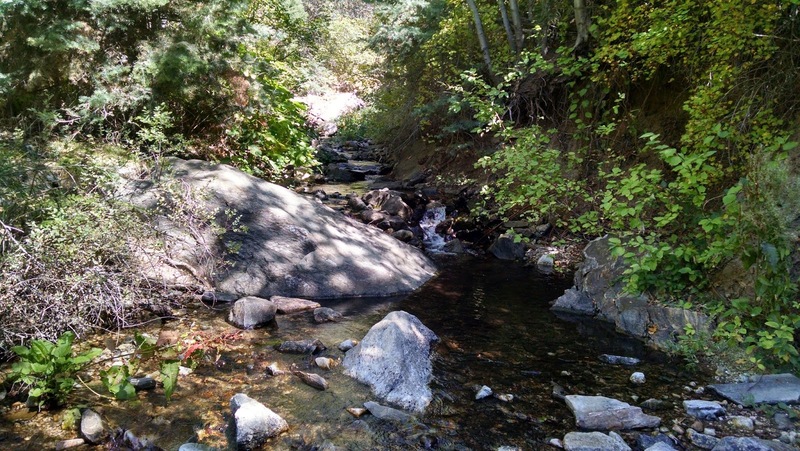 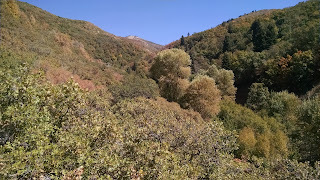 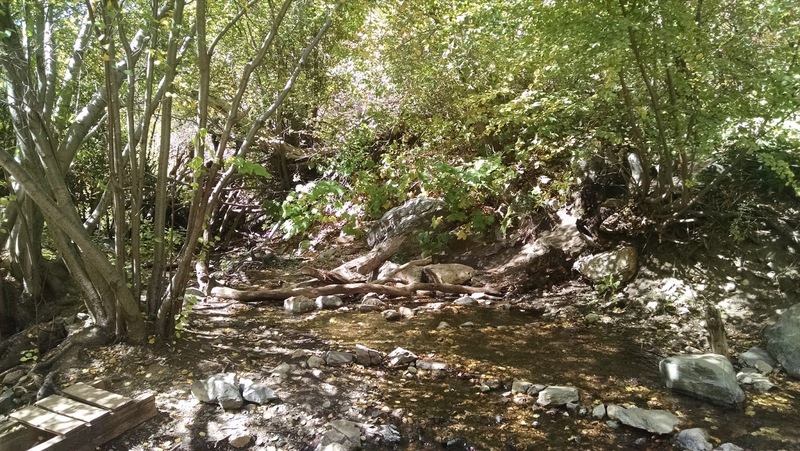 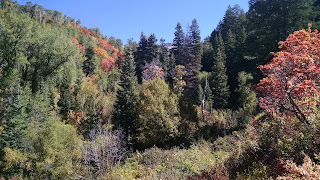 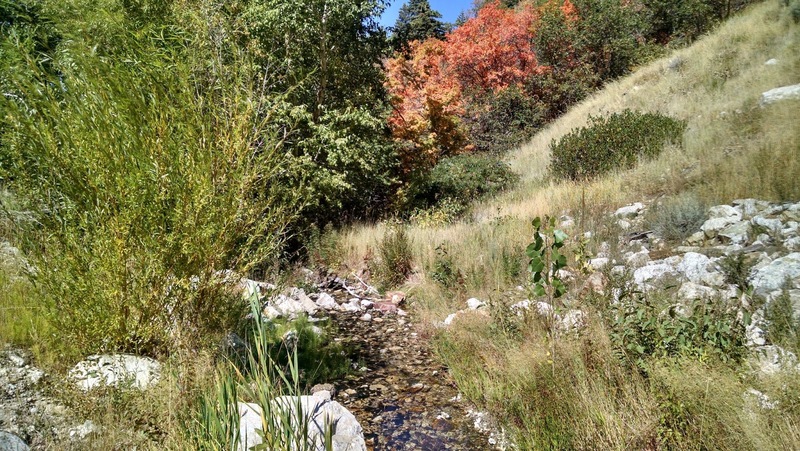 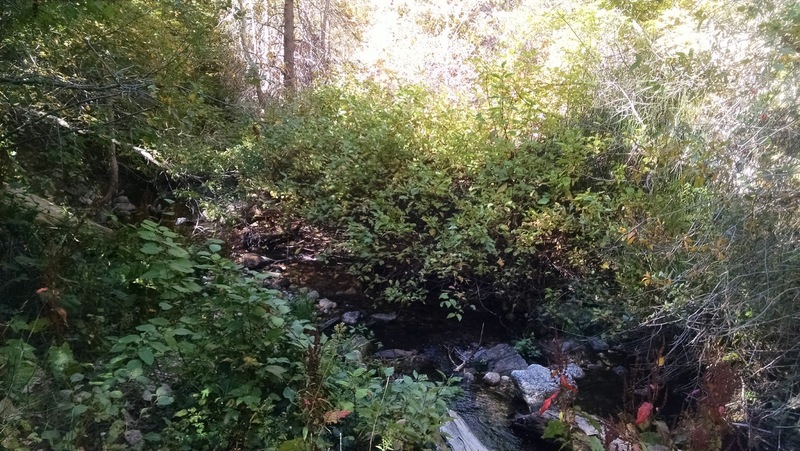 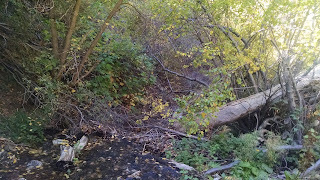 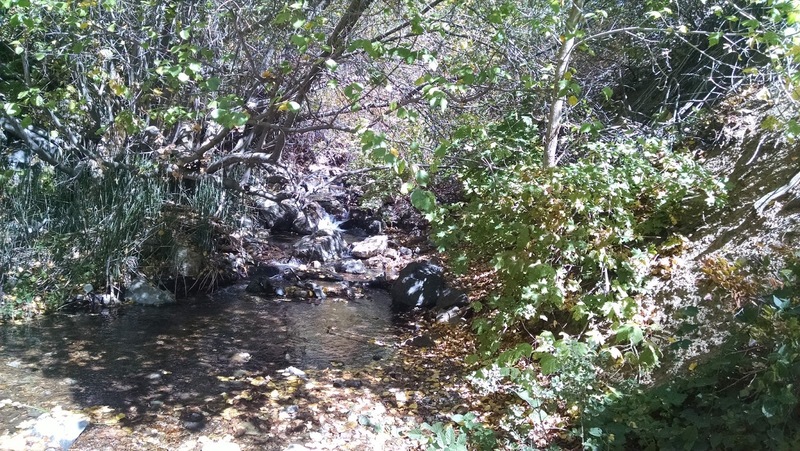 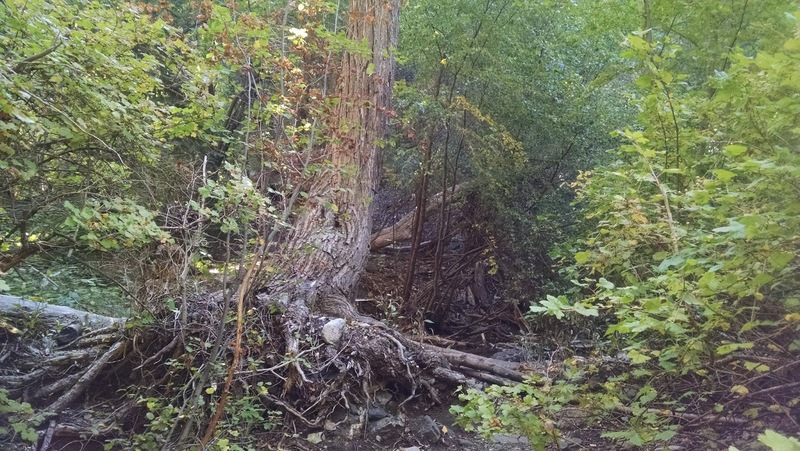 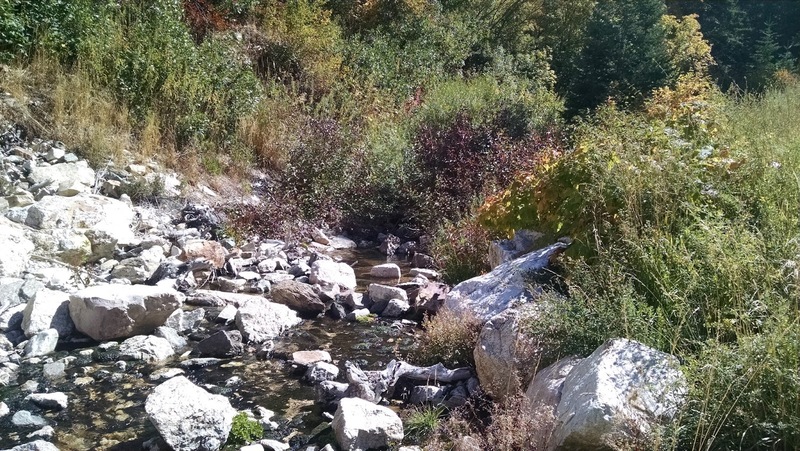 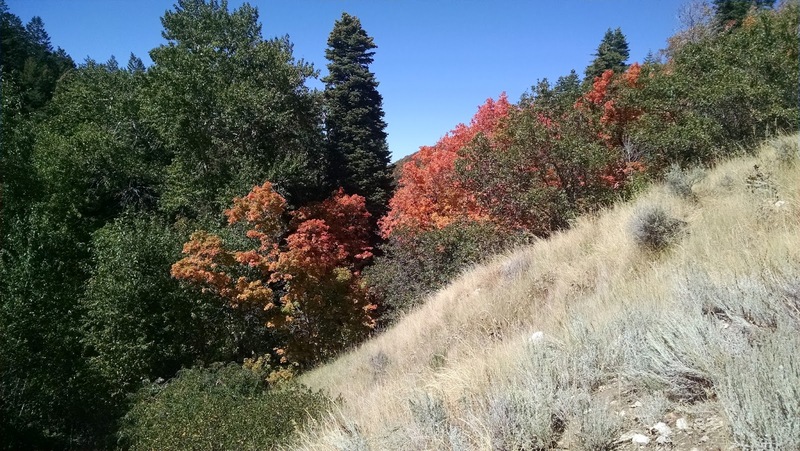 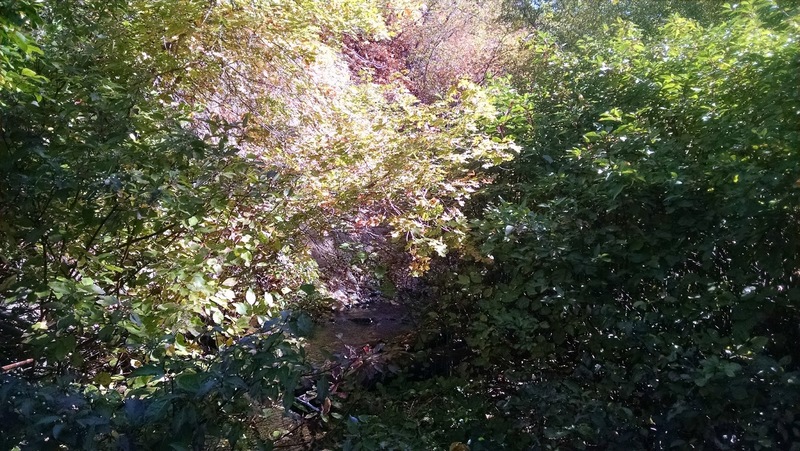 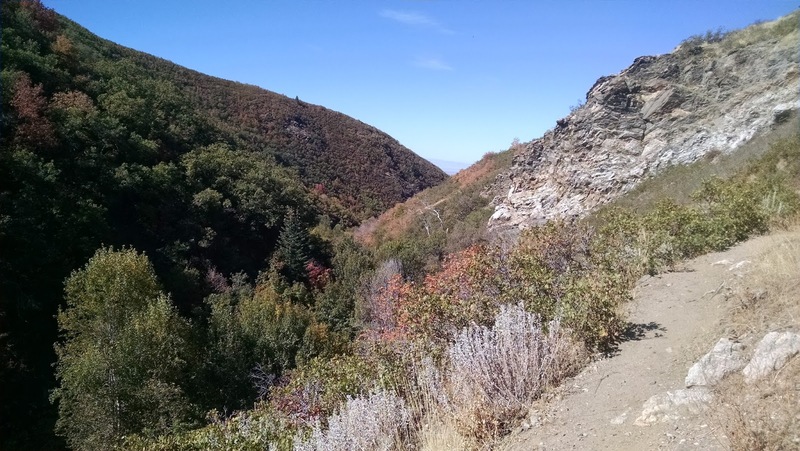 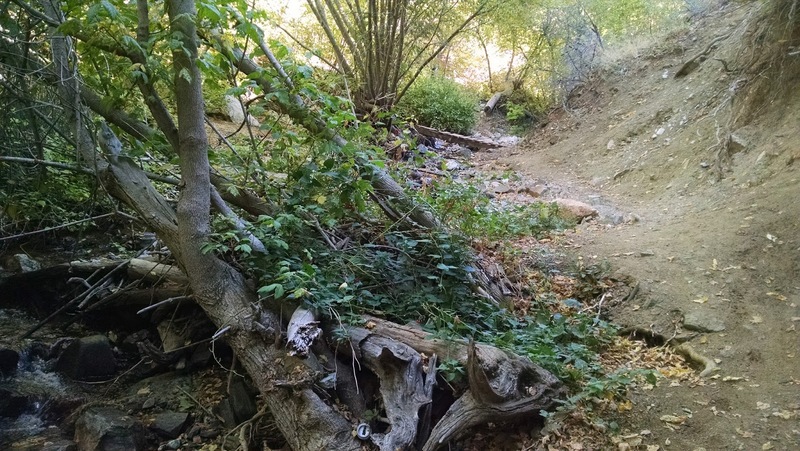 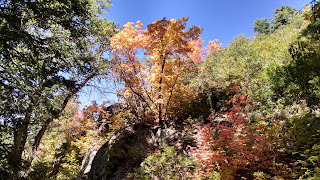 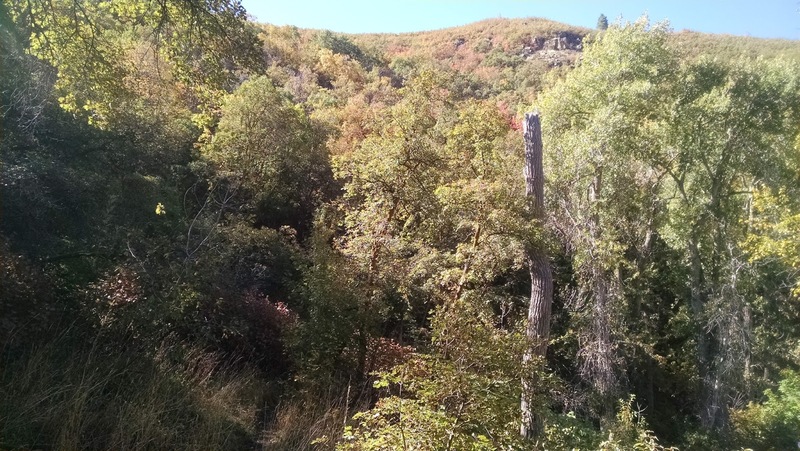 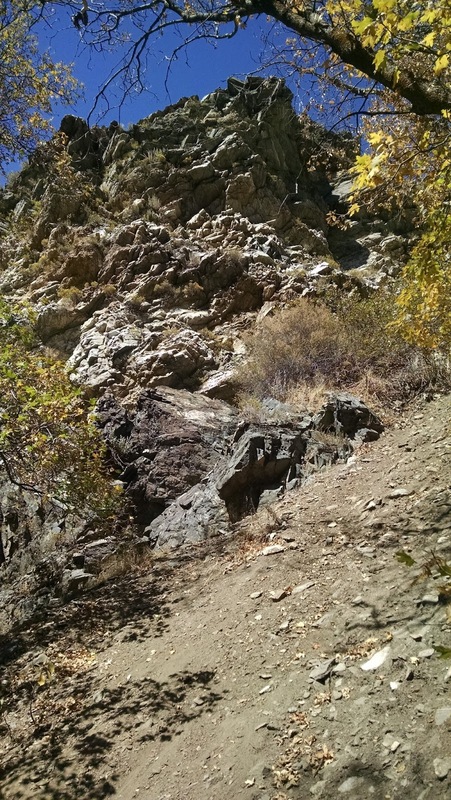 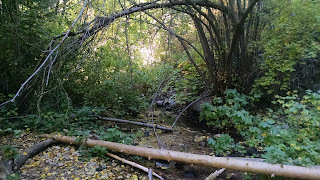 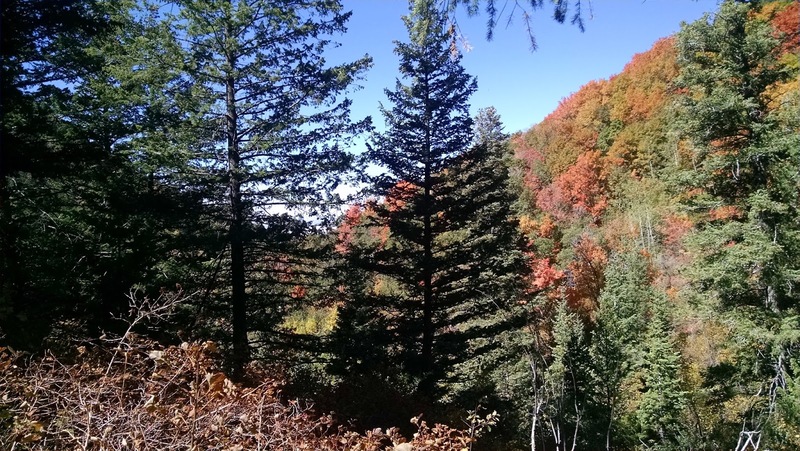 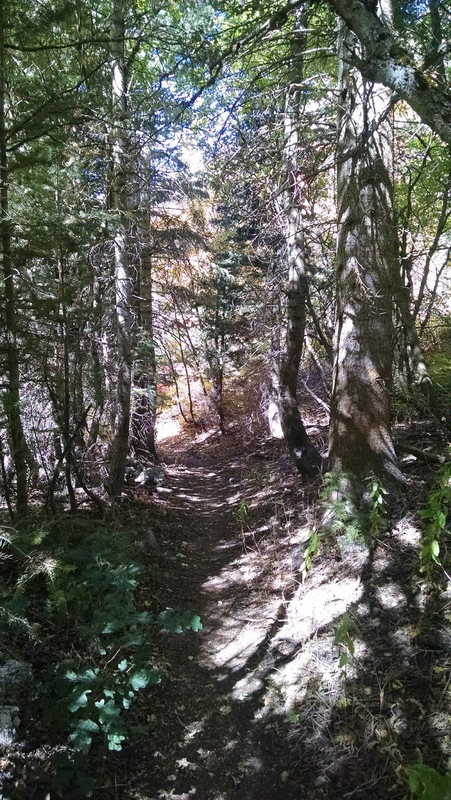 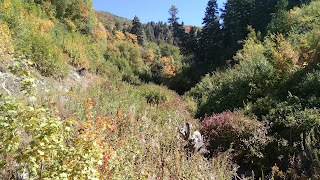 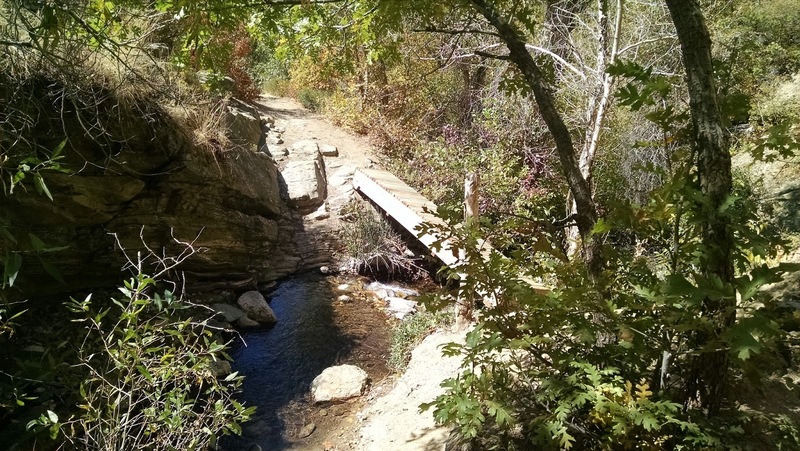 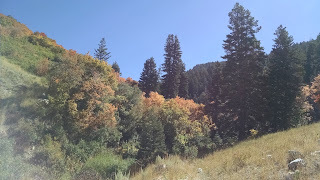 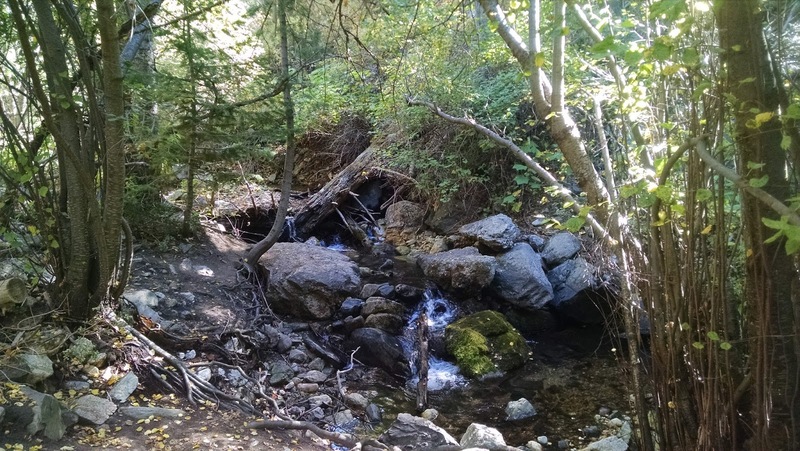 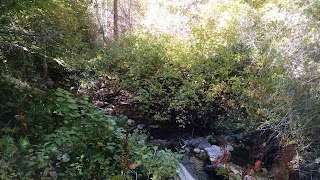 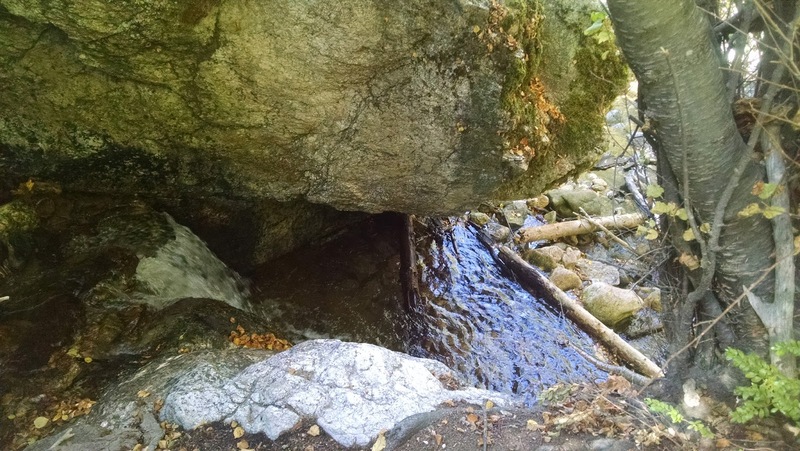 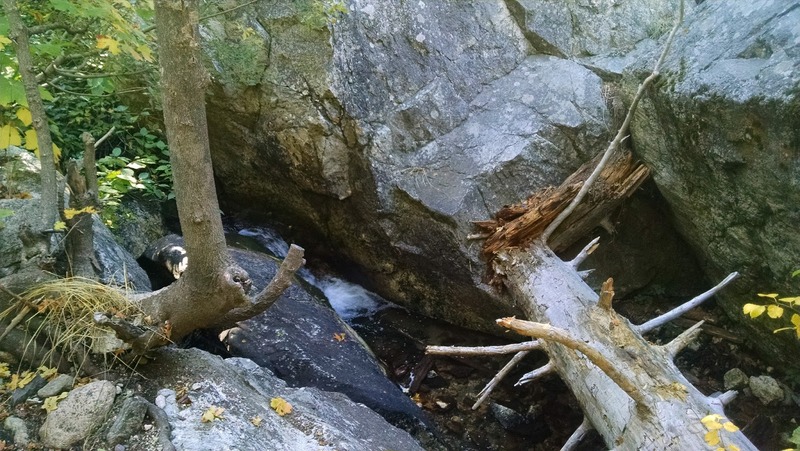 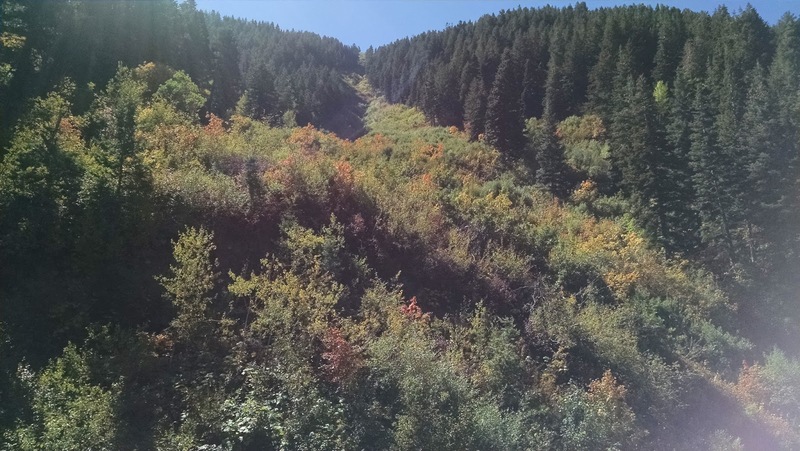 So I started to browse around for hikes in Davis County -- one county north of Salt Lake and stumbled upon the Holbrook Canyon Trail. 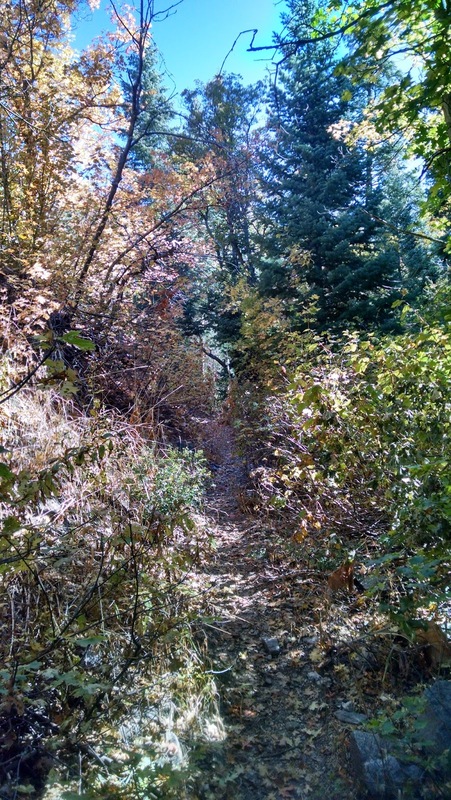 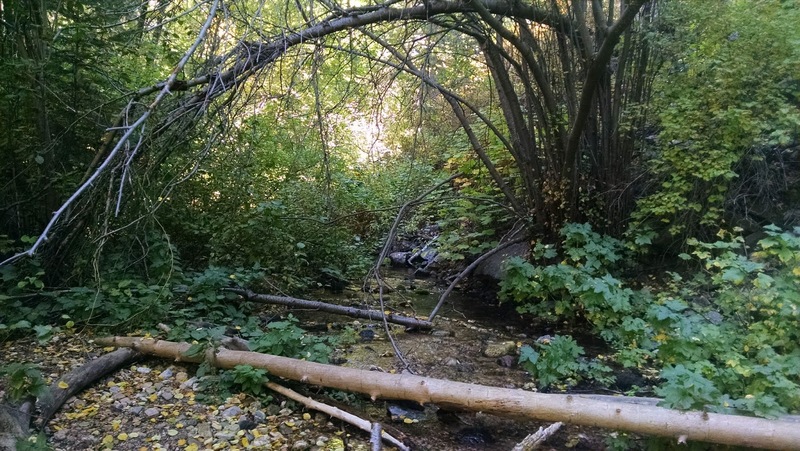 This trail is located near the LDS Temple in Bountiful. 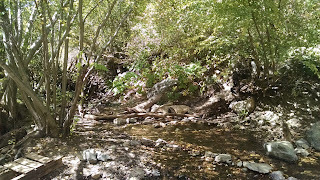 Being it was about a 30 minute drive from my house, I figured why not. I grabbed some water, snacks and off I went. 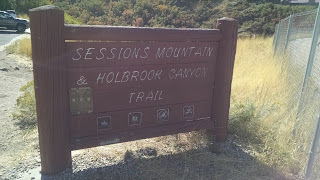 There are actually two trail heads to Holbrook. 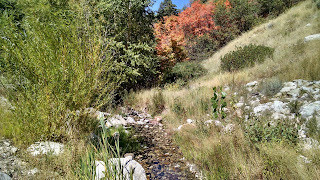 One that goes above the canyon (that appears a lot more hilly) and one that goes into the canyon and follows the creek. 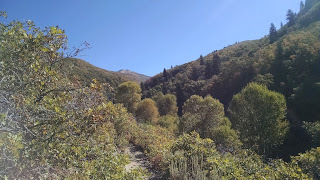 I didn't realize that the higher one was actually a trail and I just followed the creek as that seemed to be the more obvious trail. 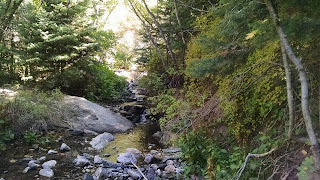 The trail follows the Holbrook Creek and at this time of year (early fall / late summer) the creek still is moving pretty well, but isn't a surging river by any means. 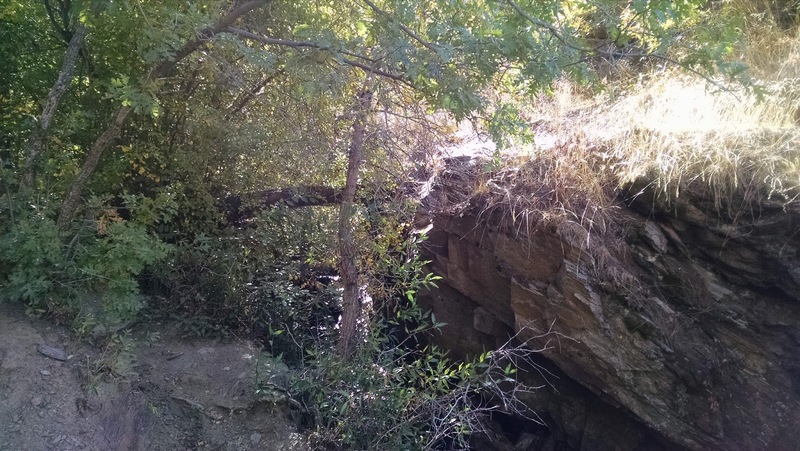 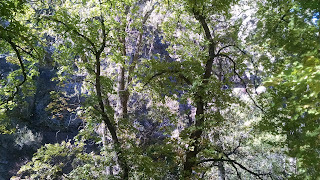 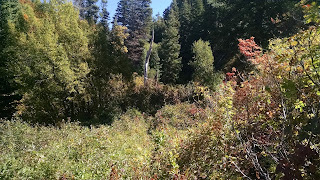 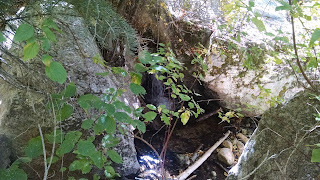 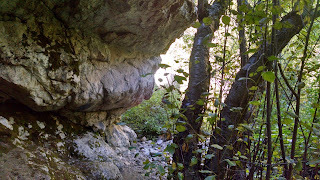 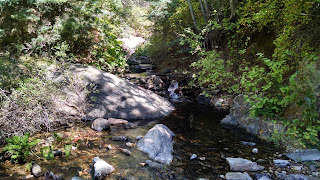 There were several places where I had to leap across on bridges, rocks and fallen trees. 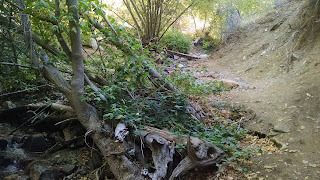 I still managed to get my shoes wet and muddy and I would imagine earlier in the year, they'd be in worse shape. The trail, for the most part, is heavily shaded and fairly easy to follow. 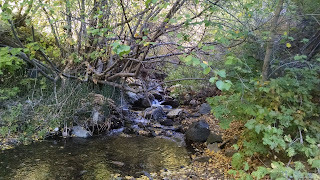 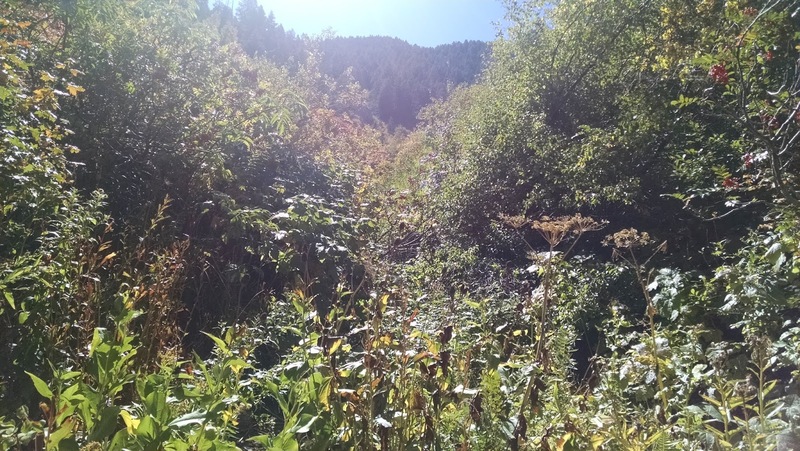 However, after a few miles, the trail sort comes and go and you'll have to part bushes or sort of trust your intuition as you meander east along the creek. 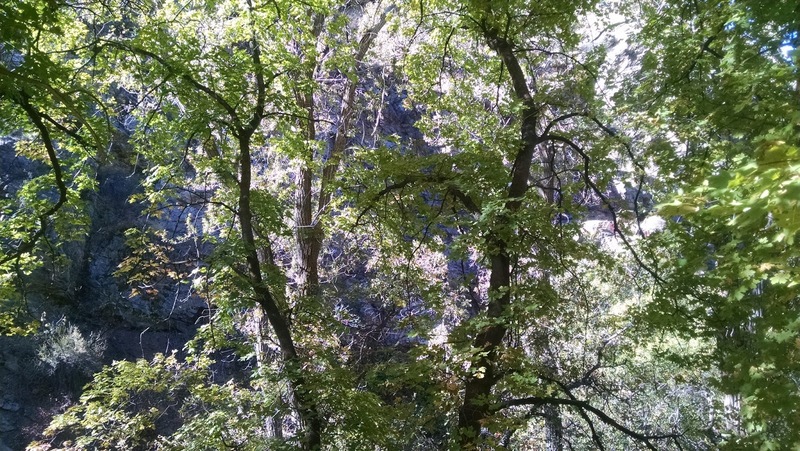 The further I went, the less people I saw. I ran into one guy just short of where I was going to turn around and he seemed shocked anyone was out so far. I talked to a few people and there wasn't really a payoff at the end. And to be utterly honest, I was kind of bored with the hike. 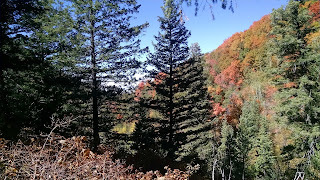 There wasn't many good views and while the fall colors were nice, the hike just wasn't that thrilling. 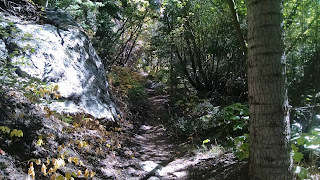 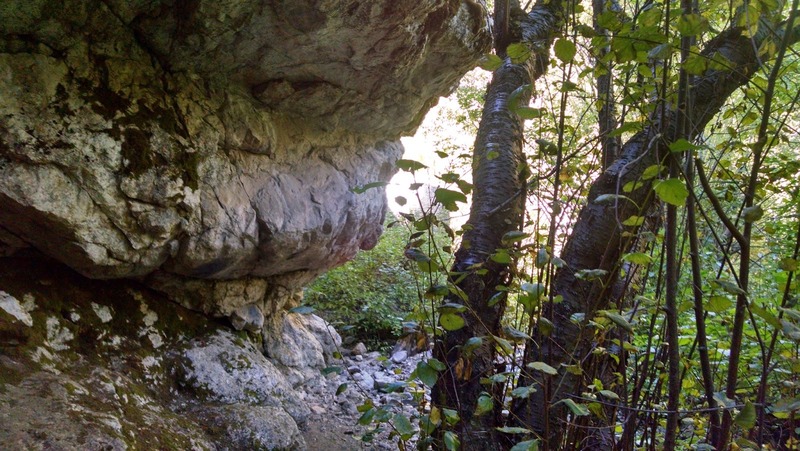 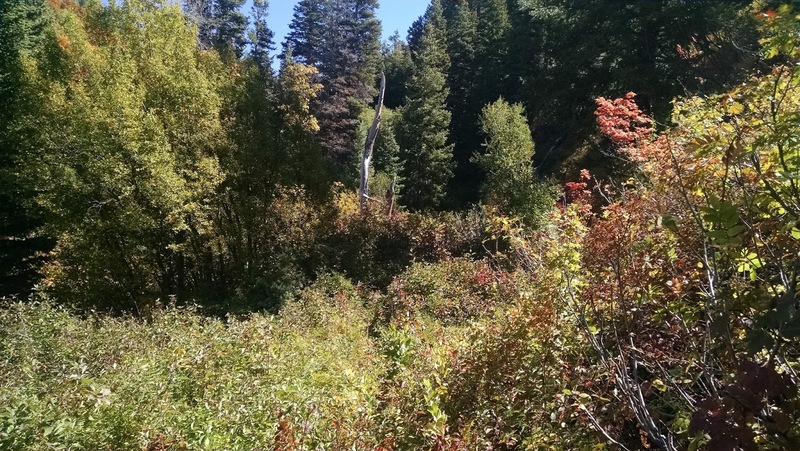 The trail is fairly easy to navigate and doesn't have many major inclines or declines. 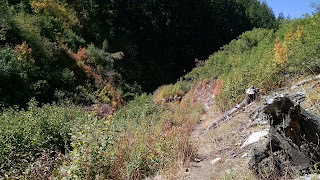 The further you go, though, the rougher and less maintained the trail is. 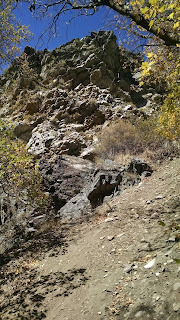 This trail is also loaded with rattlesnakes. I went at a good time of the year and only spotted one baby one. 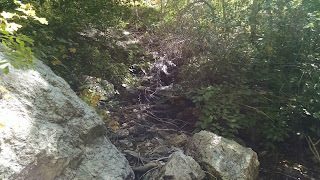 I've heard from other people that they usually are around a lot. Overall, I wouldn't recommend this trail. 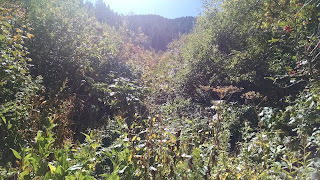 It just wasn't that interesting and there wasn't much of a payoff. 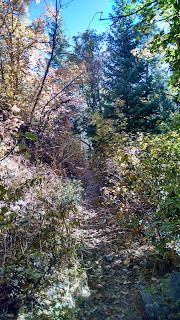 I would've liked to have "finished" it but I am not even sure where the trail wound up, it was so overgrown.